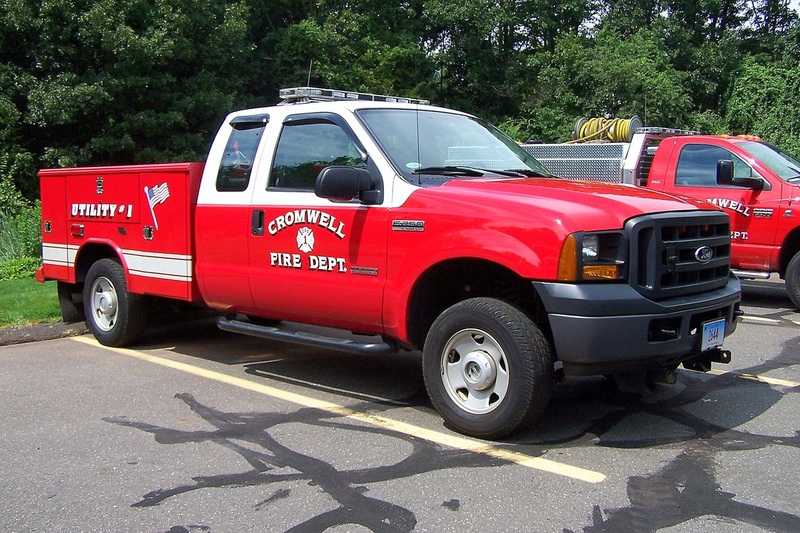 This is the page for the Cromwell FD. 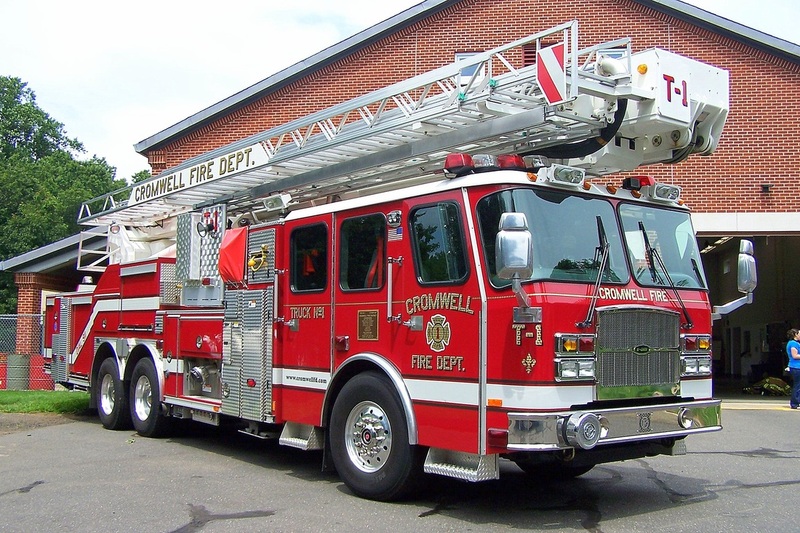 They have 3 engines (2 front line, 1 reserve), 2 ladders (1 tower and 1 quint), 1 rescue truck, 3 ambulances, 3 utility trucks, 2 SUVs, a boat, and 3 stations. Car 2, a 2007 Ford Expedition. 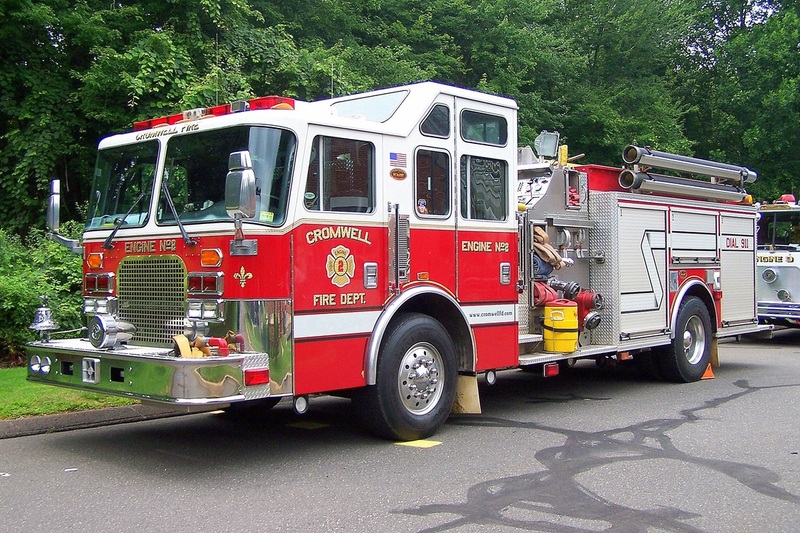 Engine 1 (former Engine 3), a 2007 KME pumper responding out of the Court St. Station. 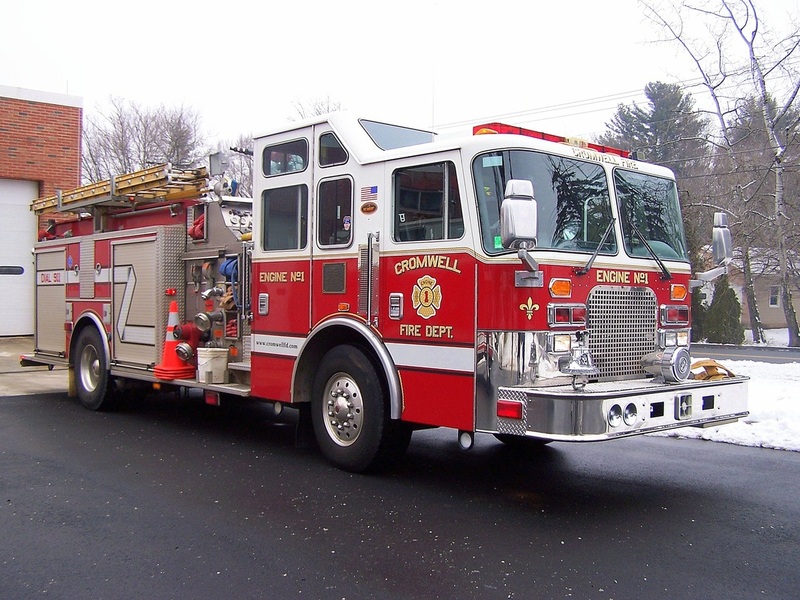 Engine 2, a 1998 KME responding out of the Coles Road. station. 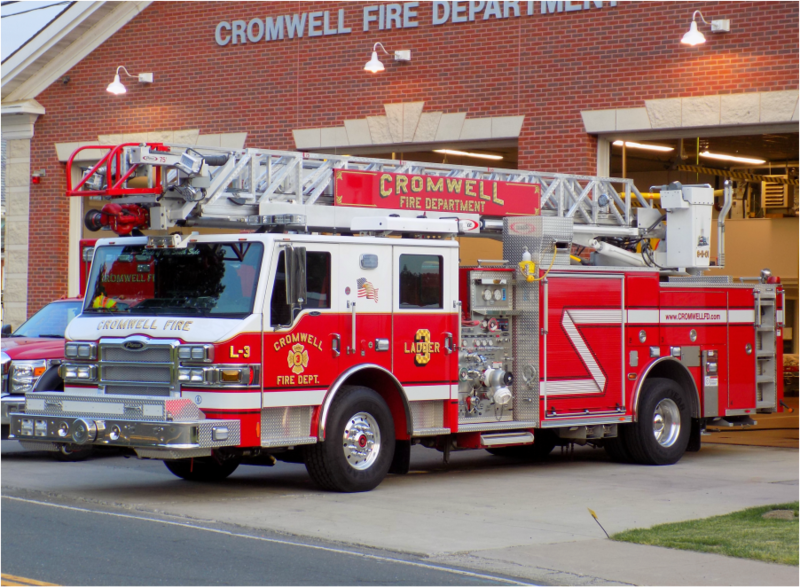 Ladder 3, a 2013 Pierce Velocity 75ft quint responding out of the West Street station. 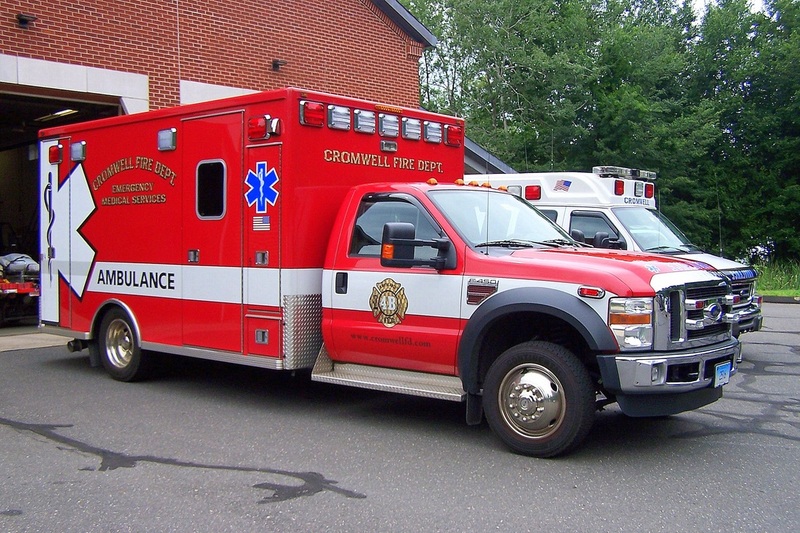 Engine 4 (former Engine 1, now RSV), a 1997 KME responding out of the Coles Road station. 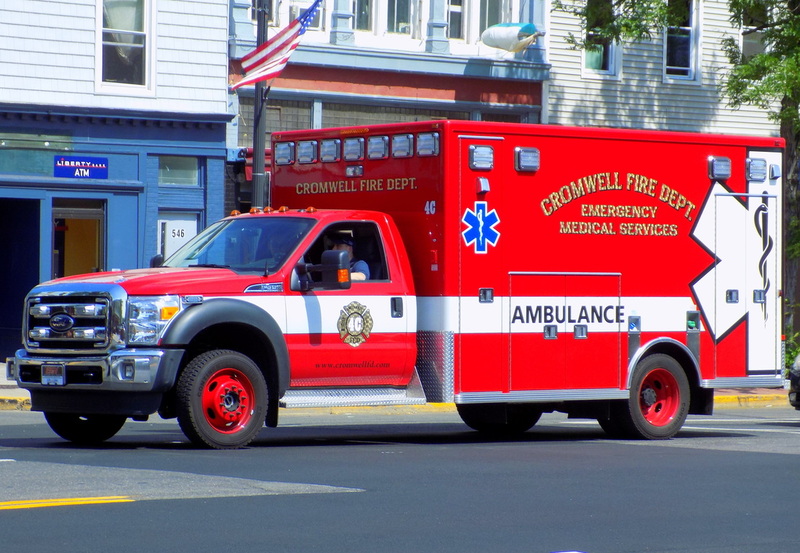 Ambulance 4-A, a 2010 Ford F-450 ambulance responding out of the Court Street Station. 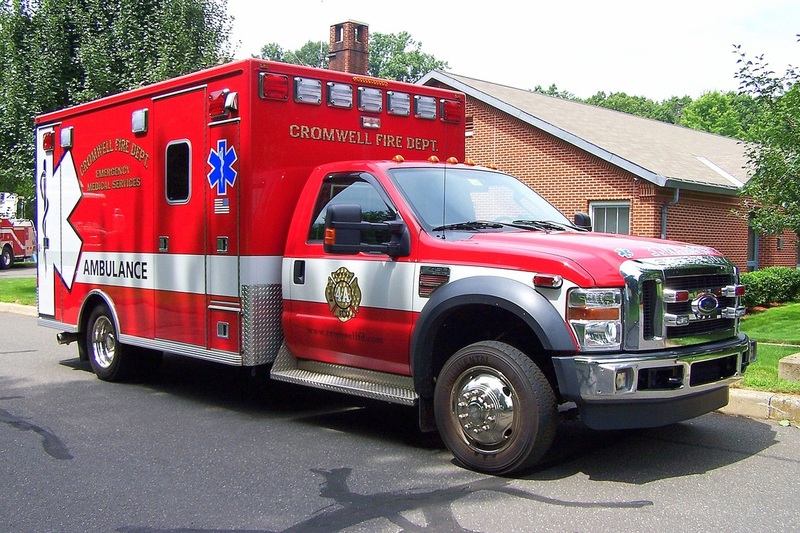 Ambulance 4-B, a 2010 Ford F-450 ambulance responding out of the Coles Road station. 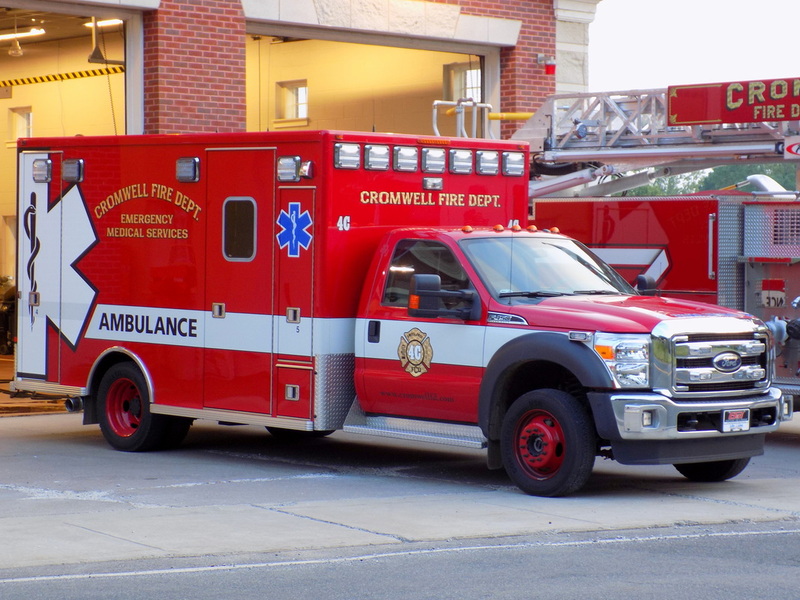 Ambulance 4-C, a 2015 Ford E-450/Lifeline ambulance responding out of the West Street station. Rescue 1, a 1991 Simon/Duplex heavy rescue responding out of the Court Street Station. 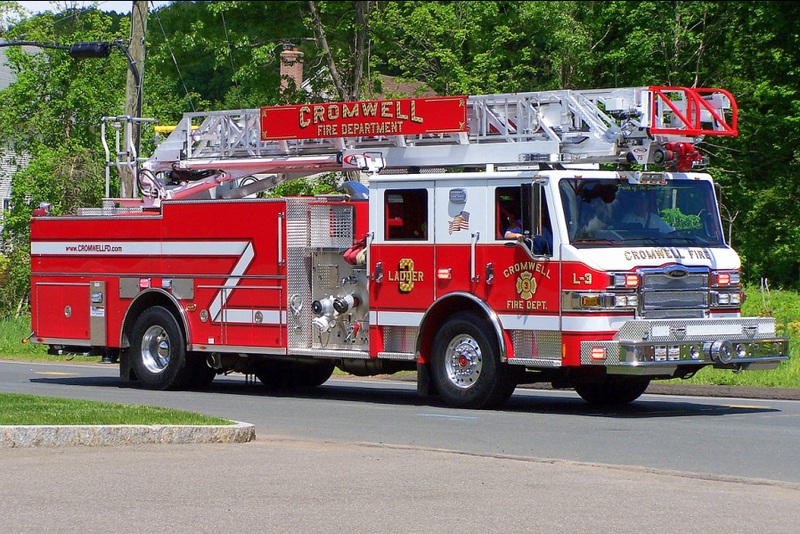 Truck 1, a 2006 E-One Bronto 100 ft tower ladder truck, responding out of the Court Street Station. 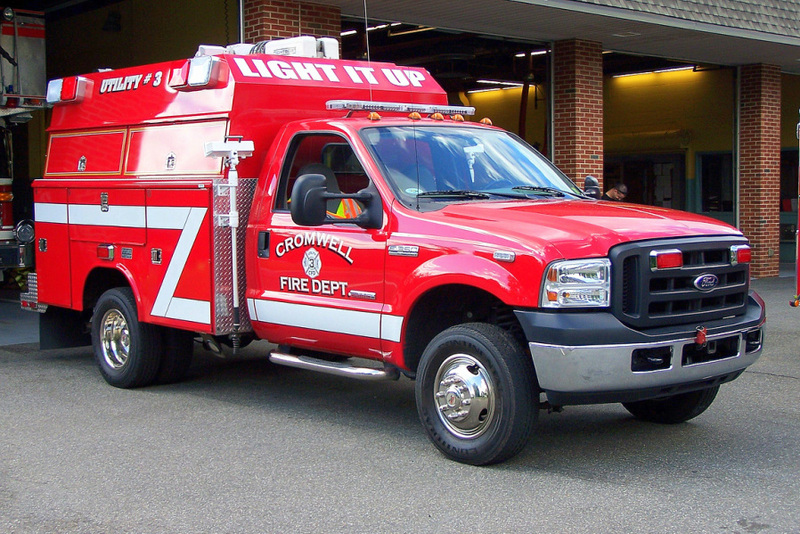 Utility 1, a 2006 Ford F-250 maintenance and utility truck, stationed at the Coles Road Station. 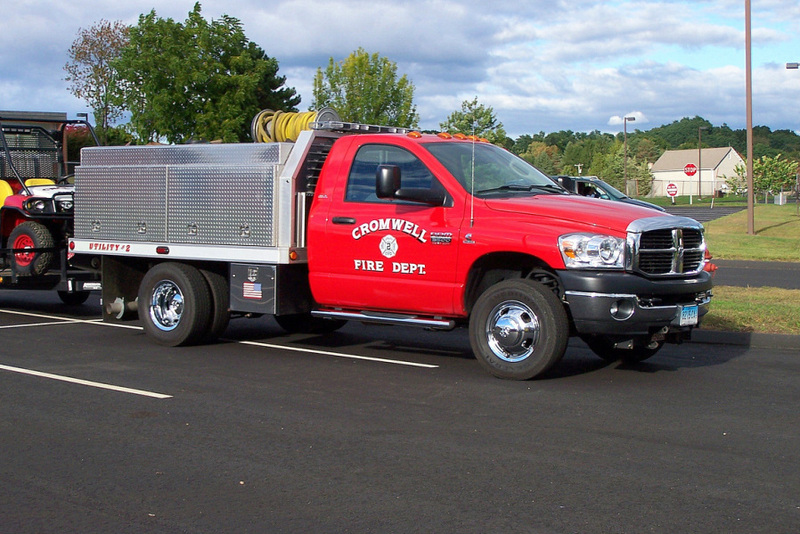 Utility 2, a 2009 Dodge Ram 3500 brush truck stationed at the Coles Road Station (Formerly Utility 3). Utility 3, a 2007 Ford F-350 utility truck stationed at the West St. Station (Formerly Utility 2). 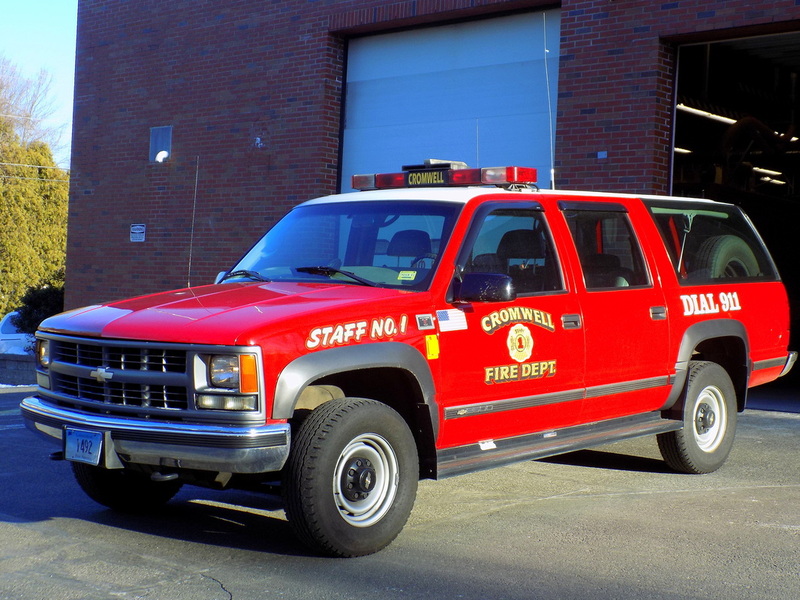 Cromwell's Staff 1, a 2000 Chevy Suburban utility SUV. 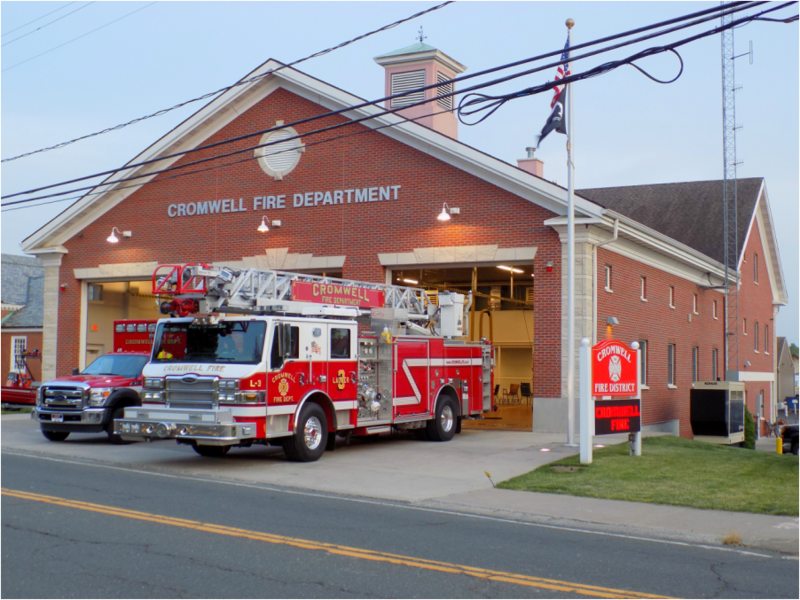 Cromwell's Court Street Station, at 82 Court Street in Cromwell, CT. Stationed here are: Engine 1, Truck 1, Rescue 1, and Ambulance 4A. 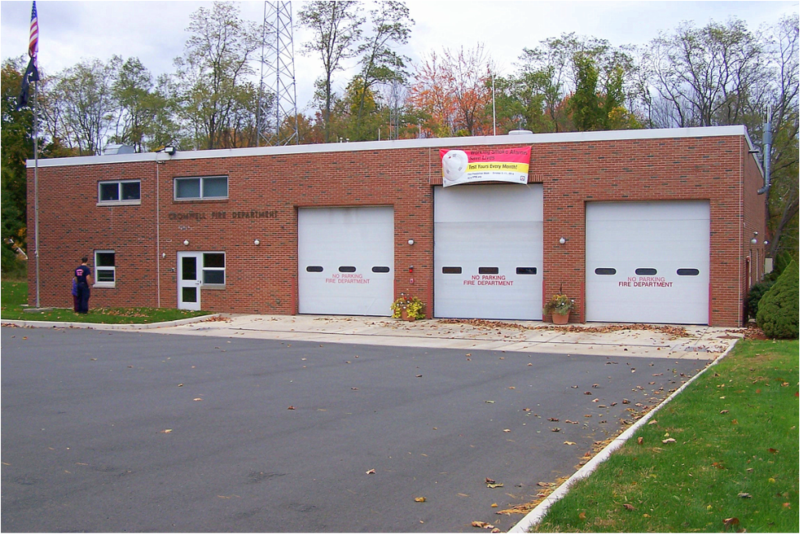 Cromwell's West St. Station, located at 1 West St. in Cromwell, CT (Right next to the Police Dept.). 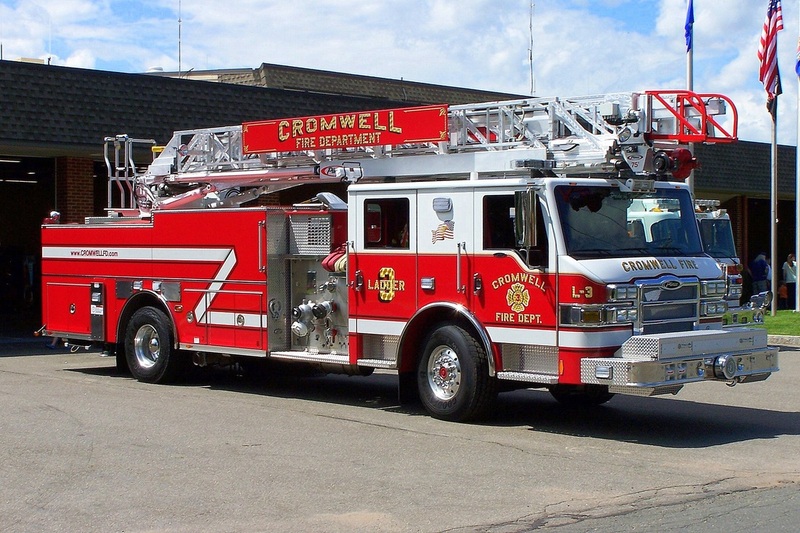 Stationed here are: Ladder 3, Ambulance 4B, Utility 3, Med-Cart 4-C, and Marine 11.